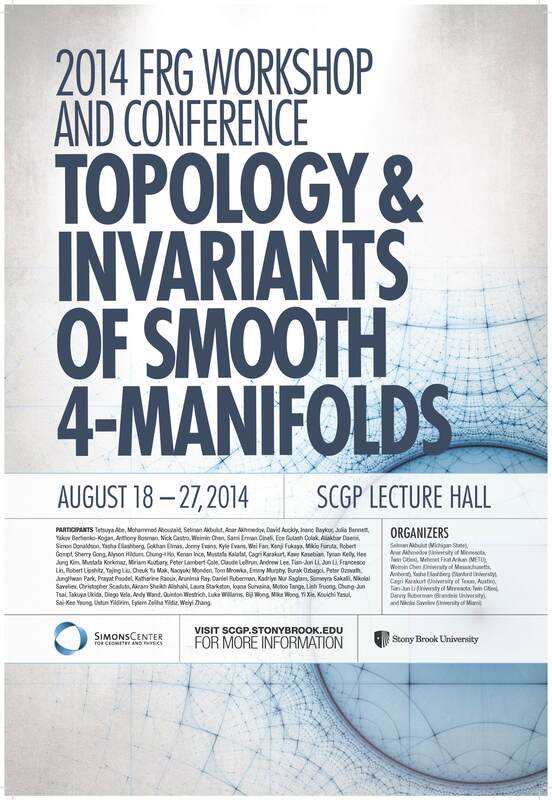 Our workshop will bring together leading researchers working in the fields of three- and four-dimensional topology, gauge theory, contact and symplectic topology as well as some researchers in the topology of higher dimensional geometric structures. The workshop will provide an opportunity to initiate and enhance the interaction, exchange of ideas, and possible collaboration between the participants. We expect that the workshop will also present an opportunity for the participants to learn the recent advances as well as to reflect upon on previous known techniques for studying the smooth and symplectic 4-manifolds, and contact 3-manifolds. 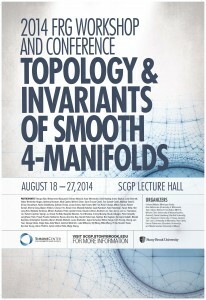 Specifically, we plan to focus on the following research topics: Invariants of Smooth 4-Manifolds, Symplectic Topology, Exotic Group Actions on 4-Manifolds, Exotic 4-Manifolds, Handlebodies of Exotic 4-Manifolds, Stein Fillings and Contact 3-Manifolds, and the Topology of higher dimensional geometric structures. ***Please note: Both Saturday 8/23 and Sunday 8/24 will be informal days of the workshop. We will not have our full staff around on these two days (talks will still be recorded and there will be one other staff member present).